Are you new to caravanning? Or perhaps looking to change your caravan? We’ve put together a check sheet to help you through the entire process; from choosing the right caravan to suit your requirements and placing a deposit through to what you might expect on the day of collection & our Aftersales service thereafter. 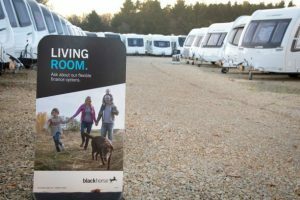 This can be a daunting process but our knowledgeable team are here to guide you through the process; from narrowing down your requirements on what berth and caravan layout to choose through to demonstrating the features on a caravan and any accessories that you might need. We’ll ensure that you are safe and legal to tow the caravan you purchase. We’ll match the ability of your car to the caravan and also recommend towing courses if you need to sit a B+E test (for extra weight entitlement) or simply want a quick lesson to calm any fears you might have about towing. This is not financial advice but information about the various funding options that are available at Swindon Caravans Group when purchasing a new or pre-owned caravan. Here we explain the differences between Personal Contract Purchase (PCP) and Hire Purchase. If you sell your part exchange privately then you will obtain a higher asking price. But there are certain difficulties in selling privately and also certain benefits part exchanging your caravan with a dealership. We’ll give you a fair price and take the stress away. Once you pay the deposit the caravan is secured. But then what? 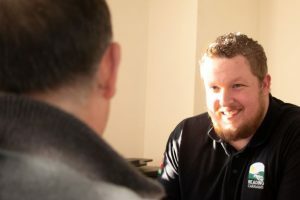 We’ll discuss what you can expect in terms of paperwork, what then happens to your caravan before you collect it a few weeks later and of course what to expect when it comes to collection day. The day you’ve been waiting for! We outline what you can expect from the day and what you need to bring with you to facilitate a smooth handover of the vehicle. The process can be quite overwhelming; but don’t worry, if you have any outstanding questions then give us a call.